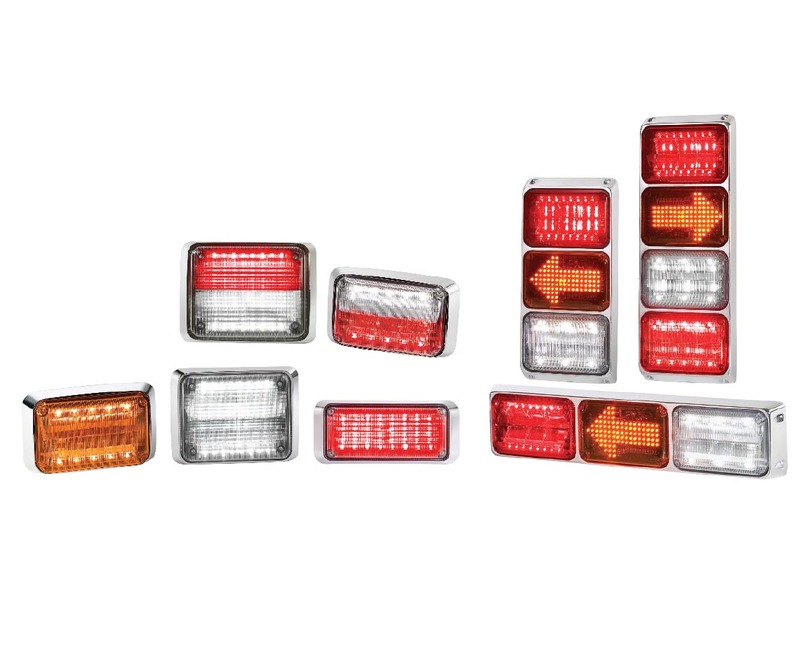 Brake/Tail/Turn, Turn Arrow and Back-up light models available in 6x4. Advanced Solaris LED reflector technology. Available in 4x3, 6x4, 7x3, and 9x7 models. 9x7 models feature unique Quad-X patterns. LEDs available in Amber, Blue, Green, Red or White. Available with built-in flasher featuring a variety of selectable patterns. Surpasses NFPA and GSA K-spec compliant upper and lower level requirements. 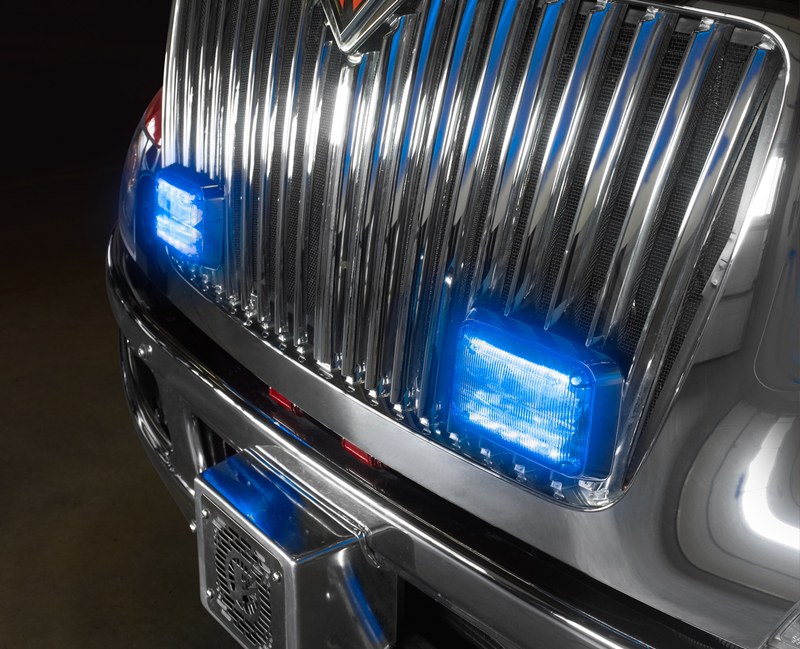 Federal Signal QuadraFlare LED lights are designed with the Solaris® LED reflector technology for superior off-axis lighting. These LED exterior lights are engineered to surpass NFPA and GSA Triple-K specifications for upper and lower level requirements and carry a five-year LED warranty. QuadraFlares are available in 4x3, 6x4, 7x3, and 9x7 standard models. Therefore, no special die-cut is required to the body of your fire truck, ambulance or work truck. Models are available with an optional chrome-plated trim bezel for a traditional finish. All models offer a built-in flasher featuring a variety of selectable patterns. In addition, the 9x7 models feature unique Quad-X patterns for attention-getting warning. These assemblies house Federal Signal’s 6x4 QuadraFlares. QuadraFlares are designed with the Solaris® LED reflector technology for superior off-axis lighting. The exterior LED lights are available in 3-position vertical, 3-position horizontal, and 4-position vertical chrome-plated castings. 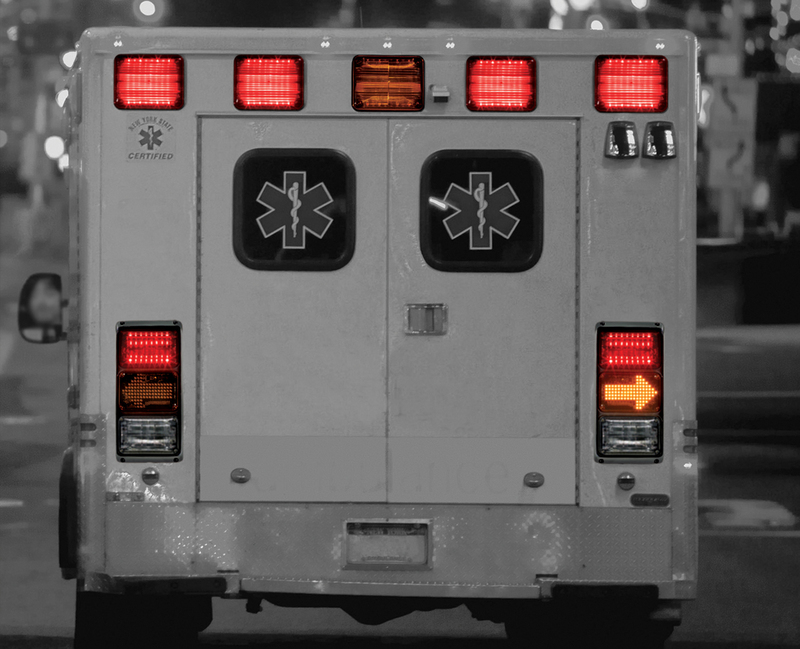 No special die-cut is required to the body of your fire truck or ambulance. All LEDs carry a five-year warranty. QuadraFlare LED perimeter lights contain a built-in flasher and maybe used with an external flasher or multiplex system by using a “steady on” pattern. Solaris reflectors and our unique software configuration provide a variety of flash patterns and functionality. The unique quad reflector design allows for horizontal, vertical and our unique X-Quad flash patterns. 9x7 - *3.0A "steady on"
*During normal operation, amp draw of flashing lights may be as much as 50% lower than stated amount.